THE WOODLANDS, TX - Today, U.S. 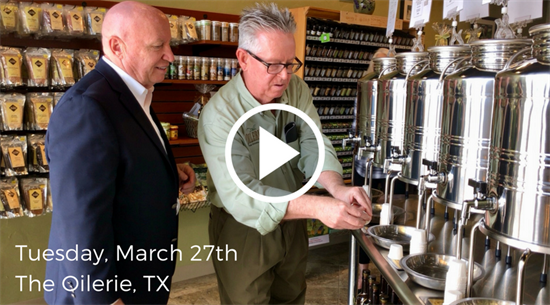 Congressman Kevin Brady (TX-08) visited local olive oil bar, The Oilerie in The Woodlands. Brady met with store owners, Greg and Jo Anna Zachary, to hear first-hand how tax reform positively impacted their business. CLICK HERE or below to watch video.